Yasukihi Tanaka started figure skating at the age of six and he was selected as a strengthening player for the 1984 Sarajevo Winter Olympics. However, as he had to give up due to injuries, he went to the United States in 1987 to study film. Now he works as a screenplay analyst for Japanese films at "Warner Brothers Film Local Production" and as a screenplay writer and director in Malaysia. Writer (first draft): STREET OF DREAMS (2007 pre-production) produced by Fred Roos, written by Roger Towne (“The Natural,” “The Recruit”), directed by De Felitta. Mr. Tanaka was Chief Development, created and wrote original feature screenplays. 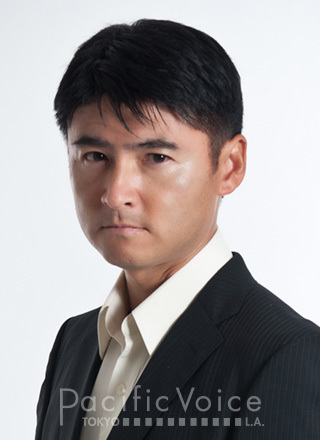 He has credits on numerous corporate sponsored projects for companies such as BMG and TV Tokyo. PRODUCTIONS (Hollywood, CA). Mr. Tanaka was responsible for creation and development of numerous feature film scripts, working directly with the producer and the director, aimed at the domestic market as well as the Asian market. For National Film Corporation Malaysia (FINAS), 2009. 4 weeks seasonal lecture on Advanced Scriptwriting Course in Tokyo. Certificate Instructor approved under California Education Code Section 94915. Mr. Tanaka is teaching Screenplay Writing & American History classes. HOLLYWOOD STORYTELLING, Textbook on Scriptwriting published by AIIKU Publication, Japan. Coordinator for COSMO SPACE OF AMERICA (Los Angeles, CA). A full-service broadcast production company based in Tokyo, Japan with service center in Los Angeles. Clients include: Fuji TV, Fuji Sankei Communications, NHK and Tokyo Broadcasting System. Tanaka won 5th place in the Japanese National Figure skating Championships in 1980 at the age 13. He was the youngest skater ever to compete for the Japanese National Championship title. His coach was Nobuo Sato (Prince FSC), father of Yuka Sato, 1995 World Figure Skating Ladies Champion. Tanaka was a professional ice skater for Disney on Ice (produced by FELD Entertainment), “Beauty & the Beast” 2004-2005 tour. They had shows in 14 different countries in the period. Association, trained for the Winter Olympics 1984 in Sarajevo, Yugoslavia.